For some young people, every day is a battle. 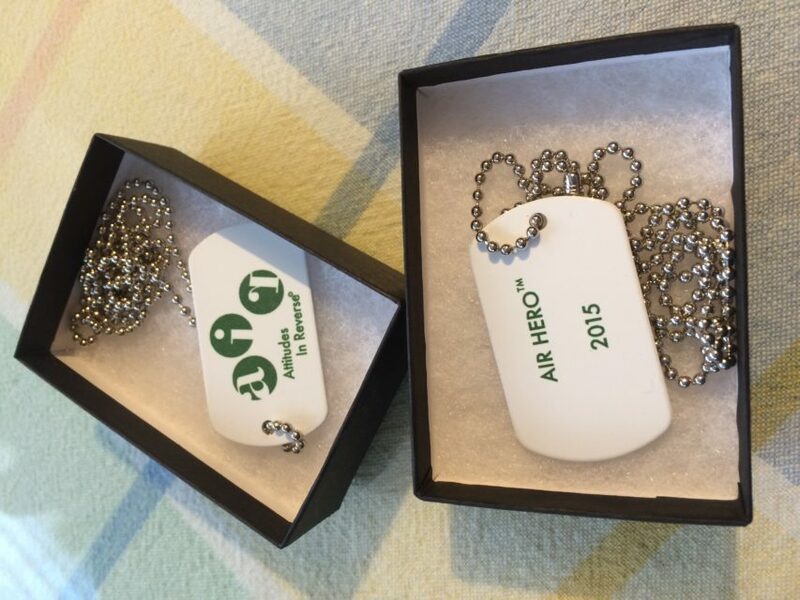 Often students reach out for support and we at AIR™ send each of them an AIR Hero™ package, consisting of an AIR™ Hero dog tag, AIR™ wristband and other AIR™ merchandise. The package is shipped to the youth at no cost to them, to let them know that there are people who care about them and their lives have value. Teachers can encourage students to sponsor an AIR Hero. For each $50 donation, AIR sends a young person, anywhere in the country, who battles a mental health disorder, a gift to let them know that there are people who care about them. We include a hand written inspirational note, that could be written by the class students. AIR Heroes can also be nominated by peers. AIR Heroes are young people who have inspired others to learn about mental health disorders and to be kind to others. A $50 donation allows AIR volunteers to send out an AIR Hero package, inspiring others to always keep fighting and to never give up hope.